Beth Harland studied at The Ruskin School of Art, Oxford University, and Royal College of Art, London and completed a practice-based PhD at the University of Southampton. She is Professor of Fine Art at Lancaster University and Associate editor of the Journal of Contemporary Painting. Research interests include: pictorial modes of address and spectator experience; painting and digital imaging; notions of temporality in art. 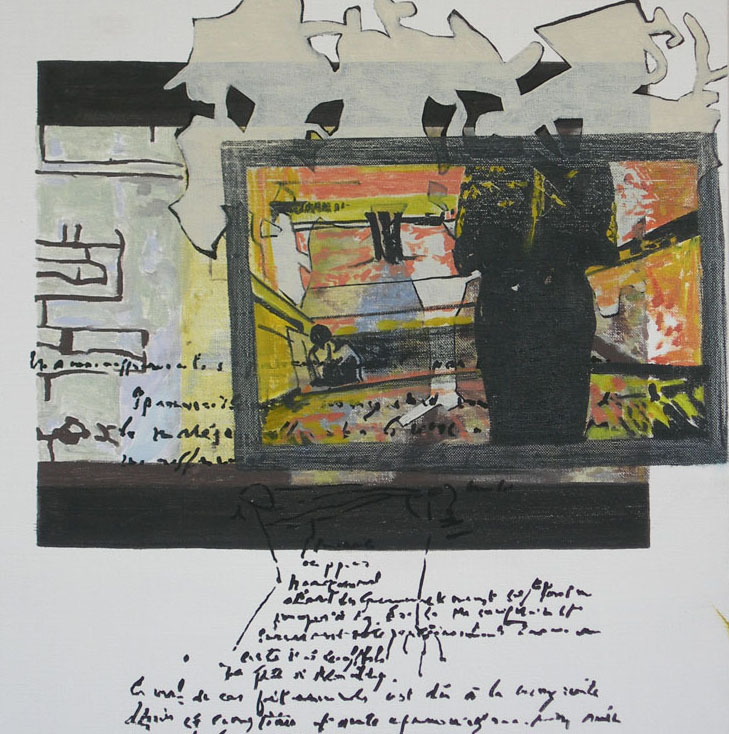 Most recent projects include: Impermanent Durations; On Painting and Time, Institute for Contemporary Art, Singapore, Bundoora Homestead Arts Centre, Melbourne and Peter Scott Gallery, Lancaster; painting/tableau/stage, Urban Space, Columbus, Ohio (exhibition, symposium); Behind The Eyes; Making Pictures, Gallery North, Newcastle-upon-Tyne (exhibition, symposium and book); The Seven Billionth Citizen (international video collaboration, exhibition and book), exhibited in Egypt, UK and Brazil. Current research includes Modes of Address in Pictorial Art, a collaboration with psychologists at the Centre for Visual Cognition, University of Southampton – papers published in Leonardo and Psychology of Aesthetics, Creativity and the Arts.